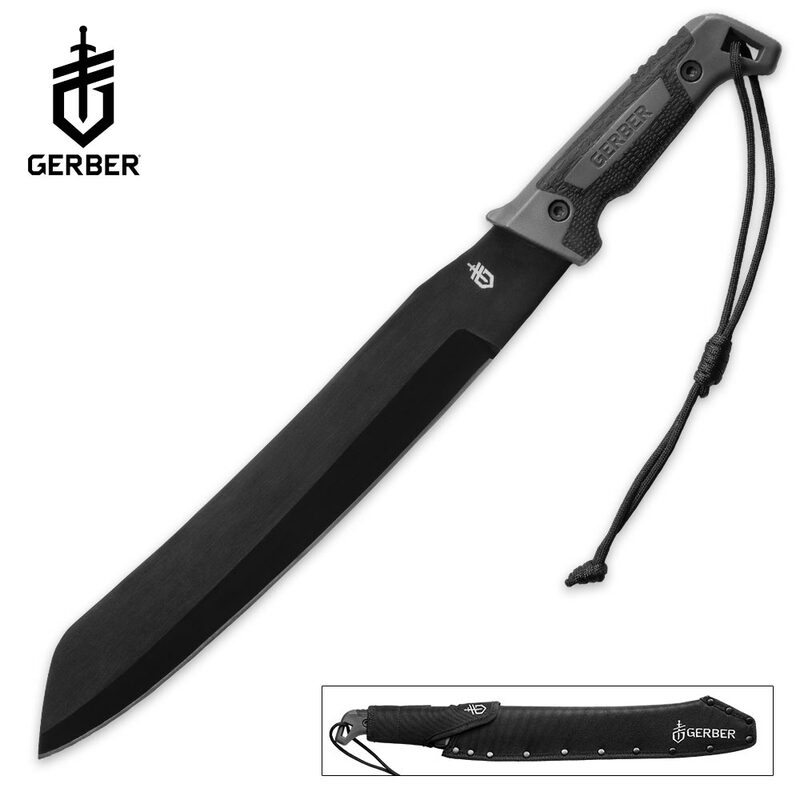 Gerber Gator Golok Machete | BUDK.com - Knives & Swords At The Lowest Prices! 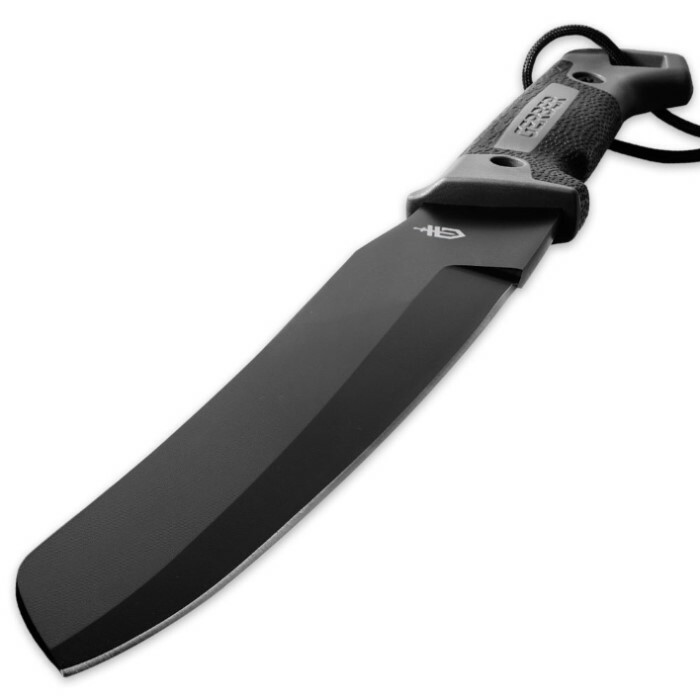 Level the Gerber Gator Golok Machete at underbrush and manage your workload in record time using little effort! Traditionally used in Southeast Asia for agricultural purposes, it is well suited for any number of outdoor tasks. It possesses a thicker blade than any other machete in the line, which makes it impressively adept at chopping and resistant to sticking in green wood. The Gator Grip texture on the handle keeps it secure, and the ergonomic shape makes it comfortable for extended use. 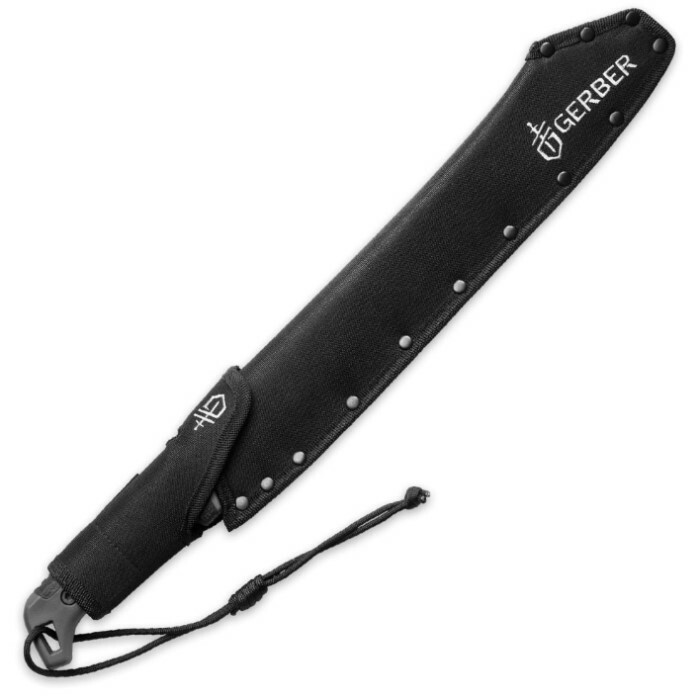 The Gator Bush Machete is lightweight for easy maneuvering and the solid handle is built for the long-term. The full-tang hardened steel is constructed with a precision grind to cut with minimal exertion, allowing for less body strain and greater efficiency. It includes a unique, adjustable paracord safety lanyard, and a high quality sheath. The sheath features dual D-loops, with a belt loop for multiple carry options.